It’s always very rewarding when we get to be involved in projects that benefit the community in a positive way. Several months ago, we featured the opening of Suite Beauty Salon in the city of Orange that we had just completed. This well-crafted salon is unique in that it gives stylists an opportunity to try out their entrepreneurial skills by allowing them to run their own businesses from independent suites. 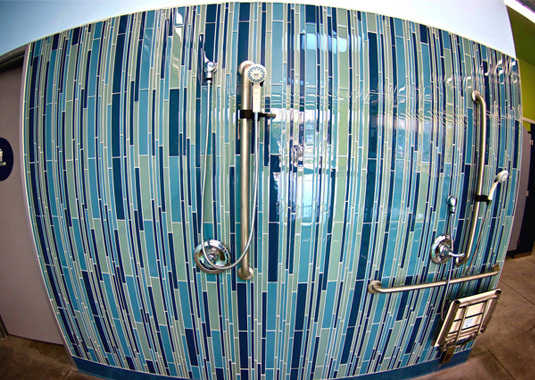 We recently learned that Suite Beauty has rented all of its salon suites—that’s 100% occupancy! 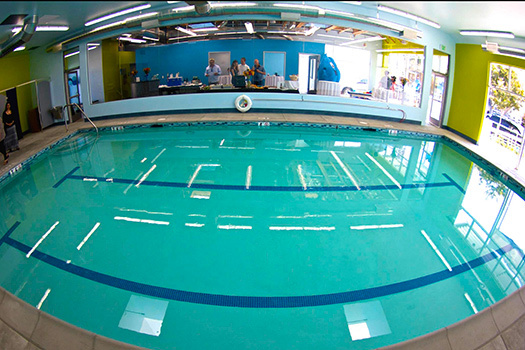 The most recent impactful project we completed was for Deep Blue Swim School, who wanted to open a second location and double the number of children they are able to teach to swim. Understanding that drowning is responsible for more deaths among children ages 1-4 than any other causes except congenital abnormalities (birth defects), and that the main factor contributing to accidental drowning is lack of swimming ability, Deep Blue focuses on water safety and swim programs that give children as young as three months of age the essential skills needed to be safe in the water. While we were pleased to be a part of this important project, it presented many challenges, both in complexity and schedule. 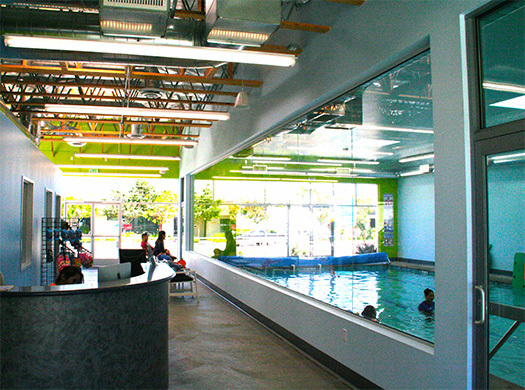 Deep Blue owners Jacquie and Jonathan Hall were ideal partners for dealing with the many complexities involved with putting a swim school into a building that was originally intended for office space, as they understood the amount of detailed planning that needed to go into the project. Jacquie and Jonathan’s knowledge of pools, along with input from pool specialist Levi Capaci, was critical in crafting a state-of-the-art pool and filtration system that is both safe for the swimmers and efficient. We were also tasked with creating two completely different environments within the building—one for swimming lessons and one to be used as office space. The challenge here was to keep the moisture from the pool area from migrating into the office area. Early in the design process, it occurred to us that these two spaces should be thought of as two entirely different businesses. We separated the cooling, heating, and exhaust systems, and we treated the pool side as a watertight container, with moisture resistant materials and a hard ceiling. Containing the pool side of the space gave us freedom to design a business space that feels light, airy, and stylish. The timeline was another challenge we were faced with. 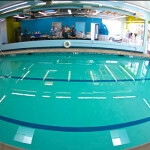 In late December, Deep Blue came to us with the idea for a new swim school and wanted it to be ready to open by the beginning of June—the height of swimming lesson season. We had six months to design all the systems, draw them up, make our way through the City of Long Beach’s approval process, and have this complex tenant improvement built. 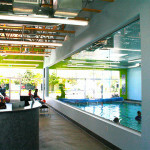 Fortunately, the relationships that both we and the tenant had with the City, combined with very capable contractors Patterson Construction and Capaci Watershapes & Landscape, and a lot of hard work, Deep Blue was able to open its doors for business on schedule and in time for summer swim lessons. We wish Deep Blue success and look forward to the time in the not-too-distant future when the demand for their services will mean that we need to design the next swim school for them! If you are in need of an architecture firm in Long Beach that is skilled in dealing with complex projects, contact us today. 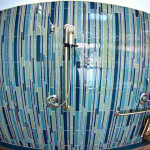 We can help you with your commercial or residential architecture project, no matter how big or small.